We are pleased to report that the Alternative White Paper is now available in print. To cover the costs of printing, and distribution to MPs and journalists, we are making copies available at £5 each, with reductions for bulk orders. 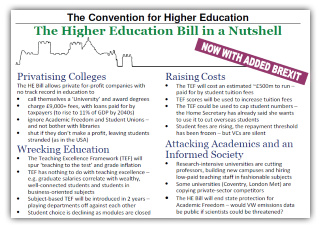 Thanks to Sage Publishing and the Council for the Defence of British Universities it is also available as a free PDF download. 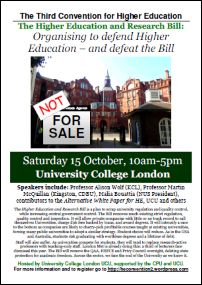 Our alternative is a positive statement for Higher Education, not merely a critique of the defects of the White or Green Paper. With around 650 responses received from across the sector, criticising the Green Paper has become something of a public pastime! However, we believe our responsibility is not merely to explain what is wrong but what is missing from the narrow vision of the BIS document. In 2011 the Campaign for the Public University (CPU) wrote a response to the then White Paper Students at the Heart of the System. Much of the critique in the 2011 Alternative White Paper remains pertinent today.